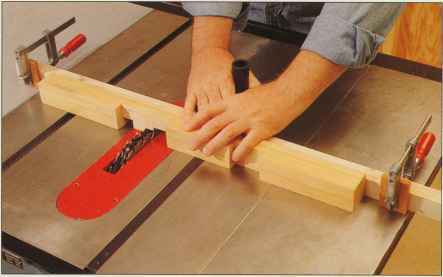 Set the trolley upside down on a work surface and drill a 5/s-inch-diameter hole through each lower rail 3 inches from its end. Make sure the holes are aligned. Slide a ^-inch-diameter axle rod through the holes and slip a washer on each end of the rod. Fit a wheel onto each end of the axle (right), then lock it in place with a second washer and a pressure nut. 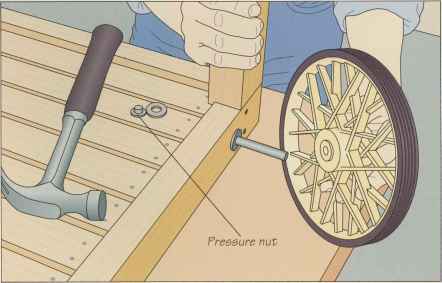 Tap the nut in place with a hammer, while holding a block of wood against the opposite end of the axle.